Dell is quitting the smartphone business more or less for good, according to a report Thursday from Forbes. Jeff Clarke, Dell's vice chairman and president of Global Operations and End User Computing Solutions, dropped the news Wednesday at the Dell World conference. China became Dell's lone remaining smartphone market earlier this year when the Round Rock, Texas company stopped selling its smartphones in the U.S.
Now even China will have to live without Dell smartphones, and Clarke reportedly said Dell won't re-enter the smartphone market any time soon. Dell smartphones are a thing of the past, partly because "it needs a lot of investments to really be successful," Clarke said. The Android business, according to Clarke, is a "content play," meaning it's more about what you can sell on top of smartphone hardware than the hardware itself. "Amazon is selling books and Google is making it up with search," he said. "So far we couldn't find a way to build a business on Android." Dell is reportedly in the fifth year of a transformation phase, with aims for now to focus on Windows tablets and laptop/tablet hybrids like the XPS 10, XPS 12 and Latitude 10. 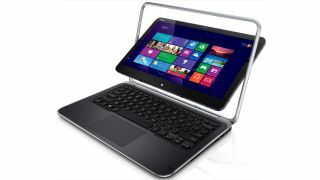 These latest Dell devices all run Windows 8 or Windows RT. But Clarke wouldn't leave it at that, perhaps ensuring his own words wouldn't come back to haunt him - "It doesn't mean we're not looking at Android." "You should come and see what's in our labs," he added. If Forbes doesn't take you up on that offer, Mr. Clarke, we'll be waiting by the phone.